Alhamdulillah, Muslim Matters has grown immensely over the past years- our readership has increased as well as our Facebook and Twitter fans. With this comes additional responsibility. As we expand, one of the issues foremost on our minds was our comment moderation policy. Some of our readers thought we are too harsh in moderation, while others thought that we allow commenters to get away with many un-pleasantries. Instead of serving the Muslim community, some post’s comments became a fitnah (tribulation), weakening the readers’ imaan (faith) instead of uplifting it. We have worked hard to change the atmosphere on MM threads. Prophet Muhammad was neither a Fahish nor a Mutafahish. This is something all our writers are committed to. We aim to be a forum where Islamic discourse takes place within Islamic Adab and Akhlaaq (manners). Sometimes we discuss controversial topics, politics, fiqh issues. If you disagree, please do not publish a long blog post (refutation) in the comments section, but do send a letter to the editor ( hena.z@muslimmatters.org) and we will let you have your say if it passes shurah (consultation). Many times we get comments from readers who have not bothered to read the whole article and comment based on presumptions. If you do not know what the article says but comment anyway, it is like barging into a conversation or asking a speaker a question about their talk without listening to his/her speech. Read all the previous comments in the thread, especially if you plan on responding. It’s best if you know what others have said so you don’t repeat their sentiments, or misrepresent them. Plus, how can you properly respond to something if you don’t know what it is? We know this hard to do when there are many comments or if you feel particularly strongly about an issue. Sometimes a comment thread is all over the place, and all of a sudden you’re talking about Eid at your grandparent’s house instead of talking about the topic at hand. Keep the original post in mind when writing a comment. Don’t start your comment or response with “No offense, but…” because that’s a sure sign you’re about to be offensive. “Even use of “Um…” or “Really?” at the start of your response to another poster can carry more “uncritical sting than rhetorical zing”. Give respect, even if it is someone you totally disagree with – especially if it is a scholar – we know we are humans and we make mistakes and even scholars make mistakes, but calling people sellouts, etc. does not make for constructive discussion. If a post addresses a topic unfamiliar to you or does not immediately gel with you, your first reaction should not be typing. Instead, think it over. This might include doing some research and reading, and listening to other voices before commenting. One way to address such a topic is to not make it about yourself. Remember, once it is published it is forever. Save your snark for the issues, not for other commenters who have come here just like you to engage with Muslims. This involves directly attacking the poster, using snark as a weapon (‘Um, sorry, but which world are you from?’), or just generally giving attitude. If your reasoning and arguments are good, they should be able to stand on their own merits. Do not get into useless debate or snide others who may have views that are not the exact replica of yours. Just because you think you’re right (or because someone else thinks you’re right), that doesn’t make your opinion any less of an opinion. Leave room for other people to disagree with you. We as bloggers know this and that is why we have a comments section. To comment on specific bits of a blog post, copy and paste the lines in question and add your response below each section. If you’re referencing information located elsewhere, provide a short summary and a link to your source so others can click through for more information at their discretion. No one can hear the tone of your voice or see your facial expression online. When you read your message out loud, does it sound the way it would when you speak to another person? Furthermore, sarcasm, in-jokes and exaggerations can easily be taken the wrong way in a public forum. Using emoticons or additional information to communicate the spirit of your message is helpful. This is a Muslim website, but not everyone who visits it has the same understanding of Islam. If someone’s comment or post sounds like Islam 101 to you, there’s a good chance it’s because that is their understanding of Islam and while that may frustrate you, it’s not helpful to lash out at them. They may have different scholars they look up, different fiqh that they follow and many may not even be Muslim. That commenter has as much right to be here as you do. Derogatory Comments About Islam: Disagreement with the religion, its personalities, and what it teaches is not out of bounds, but disrespect and mockery will not be tolerated. Personal Comments: Bringing up personal information about others, either writers or other people who are not related to the discussion. Poor Adab: Abusive, insulting, and mean-spirited comments will not be tolerated, nor will foul language. Discussion Killers: Off-topic, overly argumentative, and troll-ish comments will be removed. Encouraging Criminal Behavior: Inciting violence or threatening others will not only not be tolerated, but your IP will be traced and you’ll be reported to local authorities. Clone Spam: Anyone who posts under multiple names, or whose account is under moderation and tries to evade the system by coming in with different email addresses will be moderated as well. Moderators may intervene as they see fit in any thread on any post, usually by editing comments that cross a line, but in some cases even outright deleting comments and in the most extreme cases, banning users. The best way to attract attention is to ignore the Muslimmatter’s norms, or repeatedly engage in behavior after being asked to stop. Please use names, popular blog/twitter handles or kunyah for nicks or handles – not messages. All new commenters will be put on auto mod until you build a history. We will edit or delete any comment we feel does not fit these standards, and will turn comments to approval-only temporarily if we feel it is necessary, or if a blogger requests it (so please do not be offended). MMstaff can’t moderate everything all the time, and we encourage our community of commenters to be part of the process. We have implemented tools to help you do this not just because we can’t do it alone, but because we also don’t want all content authority coming from the top down. We now have a comments team led by Aly Balagamwala. 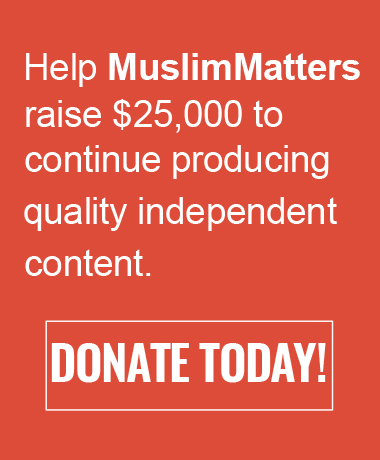 Please email comments@muslimmatters.org if you see something that needs our immediate attention or if you find an offensive comment that has slipped past us.